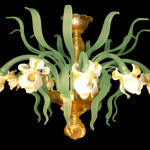 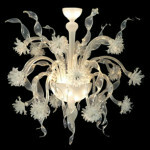 The collection “Light Flowers” represents one of the maximum examples of creativity of the Artistic Vetreria Busato. 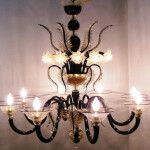 Devised and realized on an idea it originates them of the M° Marco, is characterized from the synergy between the art of the glass and the technology. 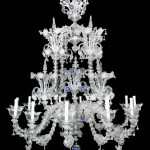 Particularitity of the line is in fact a structure of base of the chandelier to it uses of lamps to low tension and/or lamps to high efficiency from the little one dimensions . 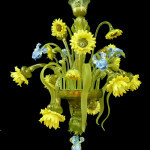 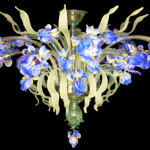 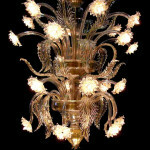 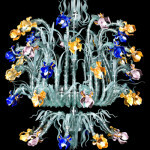 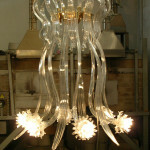 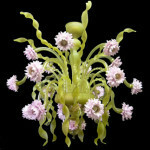 The light bulbs thus are integrated in the chandelier and “they bloom like” between the petals of the flowers the pistil. 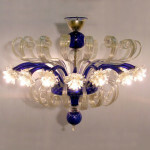 Main characteristics of such production are the modern forms and the attention in the comparisons of the energetic consumption. 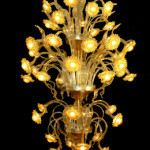 Of the collection they make part several models: from the strange ” Light Disc ” to sinuoso ” Polipo” , passing for the peculiar one ” Light Tower ” , a chandelier developed entire sull’ vertical axis.